Four best friends, young, talented and ambitious try to find their own way in a reality where people can’t speak and even think freely. Laura Danco is a young talented designer who returns to the city after studying and working in the UK. Friends tell Laura about new controlling institution, the Department of Censorship. All media sources are under control, government opposition is destroyed completely, minorities are under threat. Everyone who resists is obliterated. Laura tries to live an ordinary life of every young person in a big city–friends, relationships, travels, parties…Everything is changing when a reputable design company employs her as an assistant to a dangerously attractive, scandalous architect and designer, Daniel Polanskiy, whose ambitious and outstanding projects don’t comply with the government views and its dictated taste. Daniel’s colleagues believe he is insane, the press calls him “Russian Gaudi”, the Department of Censorship watches his every movement. The situation becomes even more complicated, when Laura meets her Uni-mate from the UK, Mark Evans. Completely lost between two absolutely different characters–friendly, amiable Mark and sophisticated, bad-tempered, but ingenious Daniel–she struggles to whom to give her heart. The future looks bleak for Laura, as the company gets into trouble, when the Tax Office conducts a detailed financial audit, the Department gives Daniel the final warning, and one of Laura’s friends is killed by his boyfriend. The plot leads characters through many challenges–from love to betrayal, from revenge to a murder. The story which starts like a comedy is turning into a tragedy. Will friends find their way to follow? This is book 1 of the duology. Laura and friends are back in book 2, “Angels of Zion”. L. Salt is an emerging, multi-genre writer from the UK. She studied History of World Culture and did Master’s Degree in Art Expertise at the St. Petersburg University of Culture and Arts. 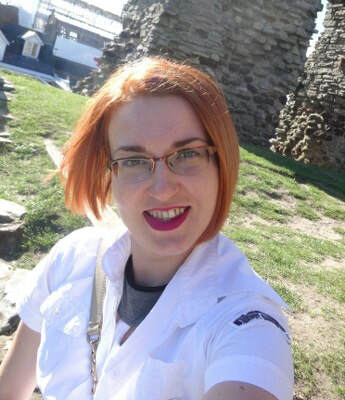 She was born in Belarus and has lived for many years in Ukraine and Russia, then finally settled down in the North of England, where she currently lives with her husband. L’s interest in writing dates back to her teenage years. Apart from creative writing, she has a passion for travelling, arts, history, and foreign languages. Her debut novella “His Personal Reich” was release on April, 26 by Crazy Ink Publication. 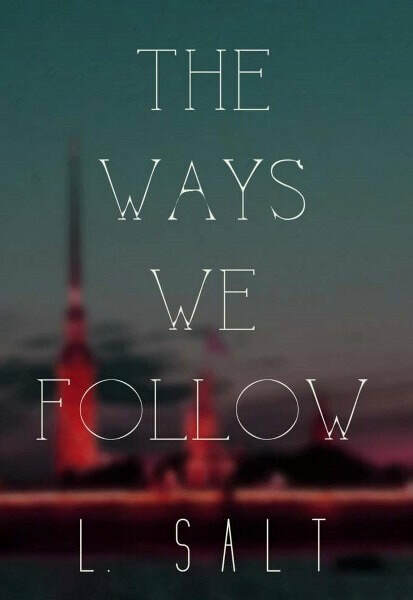 Her novel “The Ways We Follow”, a futuristic urban drama inspired by the glorious city of St. Petersburg, where the author has lived for almost ten years, was released on May, 25 by Wild Dreams Publishing. Her short stories appeared in different anthologies.